A typical dental school education costs upwards of $70,000 per year including living expenses. According to the American Dental Education Association, the average indebted dental student in 2016 graduated with $261,149 in dental student loans. Perhaps even scarier, 4 in 5 dental students are included in that indebted group. Sadly, those massive debt profiles do not even tell the full story. Many dentists have to borrow even more after obtaining their DDS or DMD for tuition and fees during residency or other postgraduate specialty training. 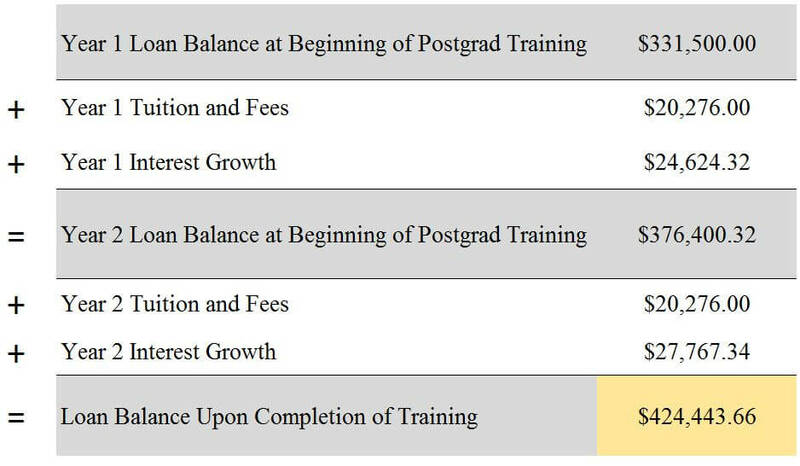 To top it off, compound interest growth from forbearance and deferment during this training can easily result in a $400,000-$600,000 student loan balance before newly minted dentists even earn their first “real” paycheck. Excuse the word choice, but dental student loans are drilling the future of the profession. The best way to visualize the educational debt problem facing dental students is with an example. Assume Tim graduates from a private out of state dental school without any grants or scholarships. After tuition, fees, and living expenses, he needs to borrow $75,000 each year over the four year program. Most of his loans will be unsubsidized at 7% interest, meaning that interest accrues every year he is in dental school but does not compound until after he graduates. I estimate his balance will be approximately $331,500 at graduation, of which $31,500 is accrued interest. Now Tim decides to complete a two year program in pediatric dentistry. According to the American Dental Association, the average tuition and fees for such a program is $20,276 per year. Program stipends average $37,406 per year. Because Tim earns such a low stipend, he decides to use forbearance for his student loan balance. His dental student loans now grow at a compound interest rate of 7%, and he adds further loans to the total balance. Now Tim’s loan balance stands at $424,443.66. Keep in mind that this massive sum assumes that he has no undergrad debt. If Tim went to a moderately priced four year college and came out with$50,000 of student loan debt from that degree program, the debt would be over $500,000 in total. In my student loan consulting business, I’ve heard high income dentists say that they decided to use income based repayment simply because they hoped they would receive some form of loan forgiveness. Unfortunately, most dentists do not understand the consequences of that forgiveness. Dental incomes are low enough after taxes that it’s very difficult to pay down a huge balance rapidly. However, they are also high enough that monthly income based payments are large. Therefore, most balances will eventually be repaid over 15-20 years before they’re eligible for forgiveness programs. If by some chance there’s a balance remaining in the case of really high balances such as Tim’s, any loan forgiveness is treated as taxable income. That means the IRS will expect a balloon tax payment on what could be hundreds of thousands of dollars. Additionally, the pain of deferred gratification means many dental school graduates make a few large purchases a few months into receiving their first large paycheck. These income and spending realities further reduce the ability of dentists to pay large sums towards their debt. How Do Most Dentists Pay Such a Huge Debt Load? In short, most dental school grads will use the income based program recommended by their financial aid office. Let’s go back to Tim from our earlier example. His financial aid officer told him to use the Income Based Repayment plan because that’s what everybody else is doing. His monthly payment will never be higher than the original Standard 10-year monthly repayment amount back when he graduated from training. This figure should be roughly $4,900. We will also assume that he got married during his pediatric dentistry program and started a family. He and his wife have 2 children together and are not planning to have any more. To simplify the modeling, we’ll say his wife stays home with the kids and does not earn an income or have student debt herself. We also assume that he starts out at $215,000 in total compensation, which is the national average for pediatric dentists according to Glassdoor. To account for increasing earnings over time, let’s say Tim earns $250,000 five years into practice and that his pay grows at a rate of 3% inflation after that. Here’ what his yearly payments and loan balances would look like over the next several years under the “old” IBR plan (Tim is not eligible for the “new” IBR plan). Remember that Tim decided to use the IBR plan because of an hour meeting with his financial aid officer at his school. Nothing against this occupation, but in my experience financial aid officers are better trained in obtaining loans rather than giving advice on loans. In many cases, financial aid officers are completely unaware of the costs of different repayment options. They certainly will not be able to simulate the costs for Tim. In addition to the IBR plan, Tim could choose between the Revised Pay as You Earn plan (REPAYE), the Standard 10 year plan, and private refinancing. To the extent these plans result in a loan balance at the time of forgiveness eligibility, that’s considered taxable income. Tim would owe the top rate of 43.4% federal and 5% state income taxes on the forgiven balance. Here are the total costs below. 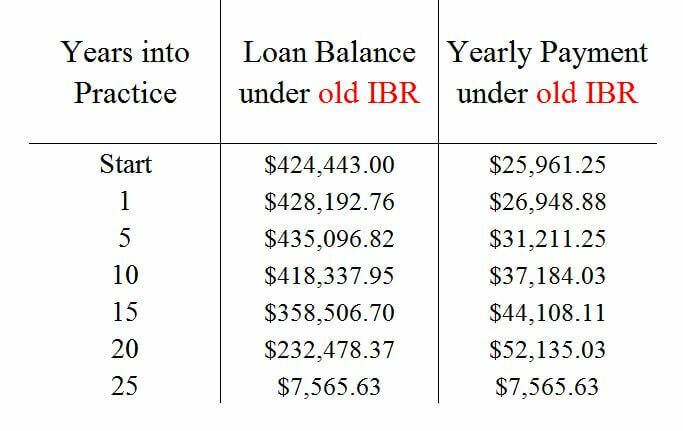 Notice that the total cost of repayment for Tim’s dental student loans is actually over 1 MILLION DOLLARS under the “old” IBR plan. That is the highest cost out of any of his available options. Recall his dental education cost about $300,000 and his postgraduate training in pediatric dentistry cost a little over $40,000. However, the total bill for Tim’s education comes out to almost three times the original cost because of the massive interest costs associated with the loan. One of the lesser known student loan repayment options out there is the new REPAYE program that came into existence as of December 2015. As with all income based repayment options, REPAYE exists exclusively for federal student loans. When a borrower uses the REPAYE plan, the federal government covers half of all interest payments not covered by the income based monthly payment amount. If a dental resident can qualify as a full time employee, their monthly payment could be as low as $0 a month depending on the size of their family and the size of their stipend. The only catch is that REPAYE includes a spouse’s income in the monthly payment calculation. So with Tim’s wife staying at home, their payment would be very low. The REPAYE interest subsidy would be worth tens of thousands of dollars during each year of training. Most dentists make major mistakes by using forbearance or deferment during postgraduate dental programs. Depending on the individual and his or her family, IBR and PAYE could make sense to use during postgraduate training too. This is something I analyze for clients during private student loan consultations. The choice of repayment plan should be made on a case by case basis. However, starting payments as soon as possible is a good rule for everyone to use. Even a couple hundred dollars per month would slow the growth of interest. As you can tell from inspecting the excel sheet, the cost of the private refinancing is by far the cheapest option. Not only will Tim saving hundreds of thousands of dollars using this strategy, he will save that money on an after tax basis. Unlike mortgage interest, student loan interest is not tax deductible for all intensive purposes. To come up with $100,000 to pay student loan interest, dentists have to earn about $180,000-$200,000 in pretax income. That $1 million IBR repayment plan cost is worth $1.5 million – $2 million in pretax income. The extremely high cost of student loan interest for dentists mean that most should do a private refinancing of their debt. I will include links at the end of the article if you want to check your rates. It takes about 5 minutes to get an immediate offer online, and it doesn’t affect your credit. Because most dentists have high incomes and therefore strong cash flow above basic living expenses, many would qualify for variable rates below 3% and fixed rates below 4%. Those interest rates are much lower than what most dentists have on their Direct Grad Plus and Unsubsidized Stafford loans. Dentists get the short end of the stick under current student loan programs. To see why, consider an example I used in an earlier article showing the incredible student loan options available for doctors. Again, I’m going to use a hypothetical example to illuminate the issue. Tim is friends with Mallory, who is a neurosurgeon. She graduated in 2012 and has been making payments since this time. Unlike the Tim, Mallory has access to a wide array of government funded residency programs. Mallory does not earn a stipend, but rather a full resident salary based on a PGY scale. We will assume she graduates with $350,000 in debt at a 7.25% interest rate, which is slightly higher than Tim’s 7% interest rate just to show the magnitude of the PSLF benefit. The fact that she earns a salary over a longer period of time during training helps her. First, she owes no tuition for her postgraduate training and she makes a reasonable income of $50,000-$80,000 a year during training. She makes significantly more than the $20,000-$30,000 program stipends I’ve seen for certain dental residencies. Second, she starts payments on her student loans right away. That’s a stark contrast to the typical dentist who uses forbearance or deferment during postgraduate programs. Mallory’s payments aren’t large enough to affect the overall loan balance, but they activate interest rate subsidies and start the clock on something called the Public Service Loan Forgiveness Program, which we will get to in a moment. Mallory the neurosurgeon will pay $33,000 over 10 years on her student loans. Tim the dentist will make over $1 million in payments under the default IBR plan by comparison. Mallory the neurosurgeon will have her $474,000 debt balance completely forgiven tax-free. After this happens, she starts making over $500,000 per year as a fellowship trained specialist. Not only does Mallory earn over two times the income that Tim does post training, she only has to pay 3% of the amount Tim pays towards his dental student loans. After 10 years, the government COMPLETELY FORGIVES MALLORY’S LOANS TAX-FREE! This happens because the Public Service Loan Forgiveness program categorizes not for profit hospitals as ‘qualifying employers.’ During residency and fellowship, doctors have low incomes, which result in low monthly payments. These payments all count towards the 120 monthly payments required to have an entire student debt balance forgiven tax-free under the PSLF program. In contrast, dentists do not have access to widespread not for profit jobs. The vast majority of dentists work for private for profit employers. The reason is because of the structure of the Medicaid and Medicare program. The federal government just does not provide massive funding for dental care. That means doctors have access to an incredibly valuable student loan loophole. A huge percentage of them will pay five figures to wipe out six figures of student debt. I help my doctor clients take advantage of this benefit, as my duty is always to each individual client. I expect this inequity will eventually be eliminated through legislation. Even so, doctors already on the PSLF program are likely in for a massive financial windfall that dentists will not get. Repaying dental student loans is an arduous task. However, my experience consulting with a wide variety of professionals from different occupations has shown me that dentists should be hopeful. Looking at the issue from the glass half full perspective, at least dentists have options. 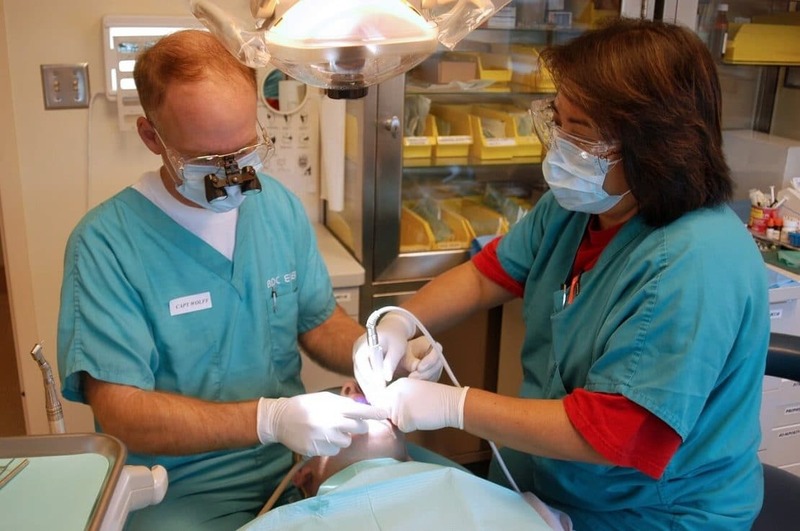 Contrast dentists with veterinarians, many of whom graduate with debt to income ratios above 3. At that debt to income ratio, many people give up hope and just let the debt spiral out of control. With veterinarians, I have to come up with ways to optimize the government loan repayment programs. I also have to prepare them for a massive six figure tax bill in 20-25 years. That is the only option available in many cases. In contrast, most dentists qualify for a private refinancing option because of higher incomes. Even borrowers with debt to income ratios close to 2 sometimes get rates as low as 4%-6% instead of the 6.8%-7.9% rates I usually see with government loans. If your debt to income ratio is below 1.25, then your private refinancing offer could include rates as low as 2.25% variable and 3.5% fixed. Dentists definitely get drilled on student loan policy in America. The cost of training has skyrocketed over the past couple decades. Loan interest rates are similarly high and probably do no reflect the true credit risk of payback. Dentists effectively subsidize other occupational groups because of the one size fits all rate policy of the federal loan program. Additionally, dental residency and postgraduate training often costs money and requires tuition payments. In stark contrast, doctors receive government funded residency training with livable wages and 0 tuition payments. Doctor residencies and widespread not for profit hospital jobs also allow doctors to use the PSLF program to earn hundreds of thousands of dollars in tax free loan forgiveness. I do not believe Congress intended any of the mess they created when they reformed student loan programs in 2007 or 2010. Are dentists unfairly treated under student loan policy? Absolutely. 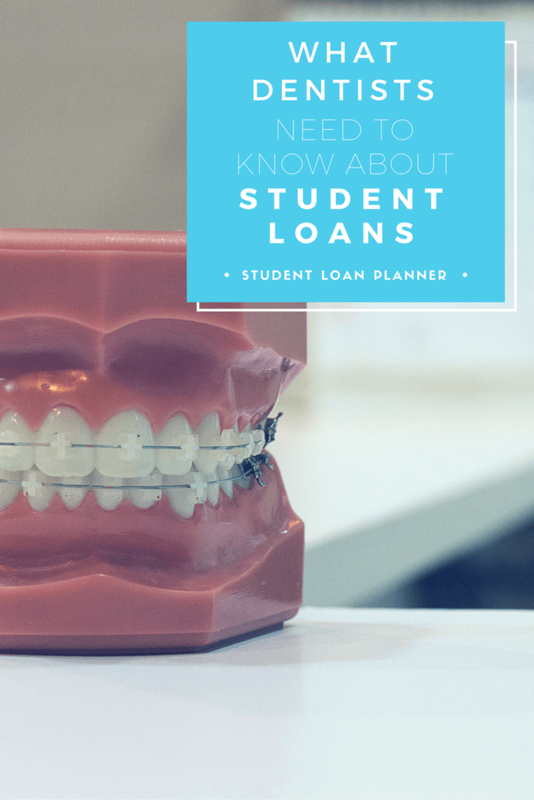 However, if you or someone you know is facing down the burden of dental student loans, there are a lot of options. Chief among these is using private refinancing to save thousands of dollars in interest. I have negotiated referral agreements with the top lenders in the marketplace that could help. These companies pay a refinancing bonus that is not available if you just visited their site directly. Private companies do not offer PSLF or income based repayment, but they often result in much lower interest charges. If you’re a private practice dentist, more likely than you should use private refinancing once you start practicing. Feel free to check your rates with the links below. If you would like me to analyze the different offers, explain the characteristics of each company, and make sure private refinancing is the best option compared to optimizing government income based repayment programs, you can hire me. There’s nothing I love more than finding out how much money I can save clients. Dentists are getting a raw deal. I hope I’ve given you a decent education about your options. My business model here at Student Loan Planner, LLC is providing people student loan advice. I only charge a one time fee for student loan help. I perform a holistic loan analysis to see what your best available repayment options are. Why do so many financial aid people recommend the IBR plan if it’s not the best option then? IBR is the oldest income based plan so anyone who’s been out of school a couple years might not have had alternatives at the time. PAYE didn’t come around until about 2011 and REPAYE came into existence in December 2015. Anyone who graduates in spring 2016 or later will probably be informed of the REPAYE plan as an option. For dentists who graduated before that time though, no one from your dental school’s financial aid office is incentivized to reach out to you and inform you of the available options for student loan repayment. I’d be very wary of working with any advisors who hold themselves out as specialists for medical professionals unless they are fiduciaries. Usually that’s a marketing front for whole life and variable annuity salespeople. They make promises that are way too optimistic to sell you financial products that they don’t even understand to make commissions of up to 10% of your investment. Most of these advisors are salespeople, not professionals. Even the fiduciary professional advisors with CFP, CFA, or CPA credentials often have no idea on how to advise clients on student loans. They get paid to manage portfolios not know the federal repayment plans. Dentists should definitely save in their 401k first and get all their employer match if they’re eligible. After saving for retirement, the first priority should be paying down your student loans because they aren’t tax advantaged like mortgages. Yep pretty sure this is happening to me. Looking at how to save and my guy keeps pushing whole life. Refinanced my loans. Now What. Thanks for commenting Gavin. If you wanted to reach out at travis@studentloanplanner.com and have me do a saving vs loan paydown analysis I could do that in detail. But first step is to fire the advisor you’re working with. Any relationship or products you are using with him are full of huge fees and massive commissions. Any pitch on tax savings or liability protection is just a marketing gimmick that’s not really super accurate. After you’ve fired the advisor, compare the rate on your loans to what you could get in savings. If you’re at 5% after the refinance, this is equivalent to earning about 7-8% in your 401k pre-tax. That’s risk free return to pay down the student debt, so I’d put 3 mos expenses in the bank and every other dollar I’d use to pay off the debt. Once that’s gone, use a low cost firm like Vanguard / Betterment / Wealthfront to pay 0.2% to 0.5% all in for investment expenses and watch your wealth grow. How many times can you refinance with a private company like DRB or Sofi? For example, if I refinance now at the start of my career when I am making $X and qualify for 5.5% interest, as I start to earn more money in my career, can I refinance again with the same company when I am making more and potentially qualify for 2-3% interest? Can you refi multiple times like this without penalties/consequences, or is it better to wait until you are at your maximum income potential and refi then to get the best interest rate? Just as with mortgages you can keep refinancing several times as you qualify for lower interest rates and there’s no penalty. The only catch is if you qualify for 5.5% now that interest rates might rise significantly and then the 2-3% rate wouldn’t exist anymore. Once you’re making a real out of school income for dentists it’s almost always better to take a private refinancing offer at a rate lower than what the government offers. The only time it wouldn’t be is if someone had an absolutely massive balance and needed REPAYE for the interest subsidy. But in short, if you have a lower rate refinance. PAYE is great though since if you leave the plan the most accrued interest that will capitalize is 10% of your initial principal. So I’m currently saving up to make a big payment in a couple years and refinance at that time with a private lender at a lower rate. The low payment right now allows me to save and also get my feet off the ground. One caveat with interest capitalization is that it’s only a big deal if you’re going to let the loan balance grow at 7% over many years. Interest capitalization means you’re not letting your interest earn interest. Interest that’s accrued is still owed even if it’s not capitalized. If you’re only talking about 3-5 years on a government plan before refinancing, I think folks need to check PAYE versus REPAYE with it’s unique interest subsidy for unsubsidized loans. Another point Brian, I recognize that saving up a large amount for a big payment feels better, but it costs you mathematically. Your savings account or other investment vehicle is probably not coming close to earning 6 to 7% after tax. That means you could earn a guaranteed return of 10% pretax just by putting everything you have into your student loans until you can qualify for a good private refinancing offer. After saving three months expenses in an emergency fund, I can think of no better way to get on your feet than to fight back against high interest student debt.